Ever since the munko whales told Pipkin about where they came out of the sea, Pipkin has thought fondly about his time at Rye Beach. Here he is, soaking in the late May sun while out on a bike ride. 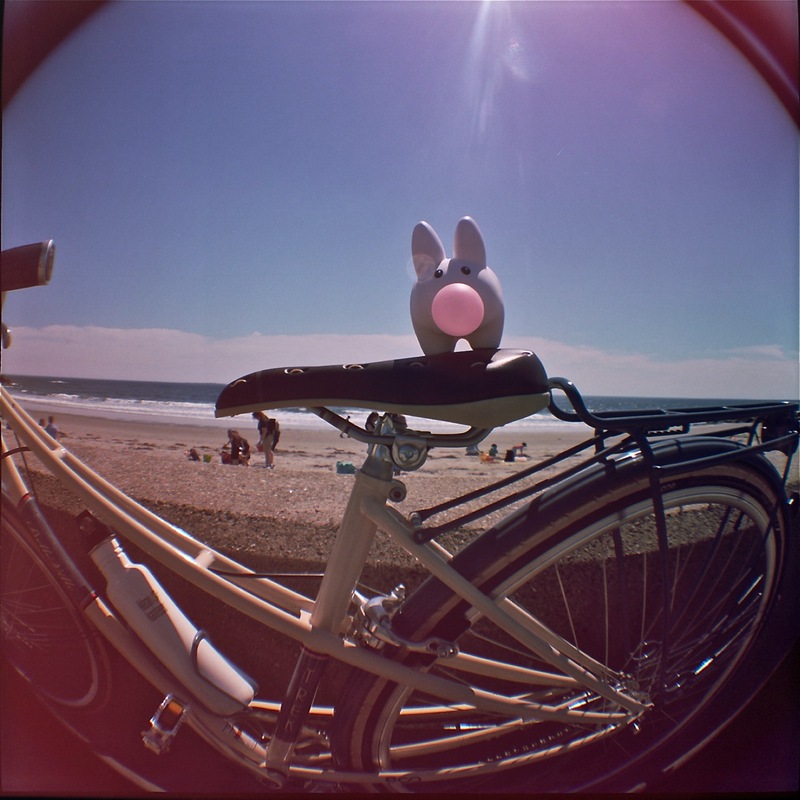 This image was shot with a Lomography Diana+ camera and a 20 mm fisheye lens.